Over a century ago, the great sage Sri Aurobindo wrote an article called “The UnHindu Spirit of Caste Rigidity” (available here). His ideas for striking at the very root of the caste problem are valid even today, and need to be taken up with more urgency that in the past. To secure its future, Hindu society needs to make sure that caste discrimination and untouchability are nothing more than just a bad memory within a generation. One thing we need to recognise is that if Hindu society is being subverted through systematic attempts to convert Hindus to other faiths, a large part of the fault lies in our society to have weaknesses that others are able to subvert in the first place. Fixing these weaknesses is important for our survival. However, it would be very sad if we approached the matter of fixing weaknesses and injustices in our society solely to stop others from converting marginalised Hindus or politically dividing us. We need to approach social empowerment with a heart sensitive to and pained by the suffering and injustices being done to people on the receiving end, as well as the injustice being done to our sanskruti-mata when adharmic things are being done in her name. Even the welcome news of the emergence of dalit Hindu priesthood has a more sinister side – it was caused by being shunned by traditional priests in that locality, who still practice in untouchability. Rather than describe problems, it is better to think about solutions; we perhaps cannot totally eradicate castes, because they provide a useful social and community function. But we need to create a deeper unity at a spiritual level by ensuring that everyone truly understands the Vedantic teaching that there is a spark of the supreme divine consciousness in every being. The baser ideas underlying the degenerate perversions of the original caste system, the mental attitude which bases them on a false foundation of caste, pride and arrogance, of a divinely ordained superiority depending on the accident of birth, of a fixed and intolerant inequality, are inconsistent with the supreme teaching, the basic spirit of Hinduism which sees the one invariable and indivisible divinity in every individual being. It does not require much expenditure of thought to find out that the only way to rid the human mind of abuses and superstitions is through a transformation of spirit and not merely of machinery. We must educate every Indian, man, woman and child, in the ideals of our religion and philosophy before we can rationally expect our society to reshape itself in the full and perfect spirit of the Vedantic gospel of equality. He who sees all beings in the Self and the Self in all beings, henceforth has no more distress. In whom the Self has become all beings, where can there be any delusion, any sorrow, for that man of discernment who sees only the Oneness? There are two massive failings of India as a country which is perpetuating caste. One of these is that the modern Indian political system has made castes into permanent political formations with serious consequences. Reservations were only meant to be a short term project, but have now gone haywire. No political party has the courage of saying it is going to scale back and eventual abolish reservations, or perhaps make qualification for reservations only due to an economic criteria rather than based on community and caste. In fact, the system of reservations is becoming more complex and more extensive, with more groups trying to qualify. We need to stop the system from running haywire any further. This is no easy task, because the present system is so entrenched. However just because a task is huge in proportions doesn’t mean that we shouldn’t take up the problem. Education on a national scale is an indispensable precondition of our social amelioration. And because such education is impossible except through the aid of state-finance, therefore, even if there were no other reason, the Nationalist must emphasise the immediate need of political freedom without which Indians cannot obtain the necessary control over their money. So long as we are under an alien bureaucracy, we cannot have the funds needed for the purpose of an adequate national education. Hence Aurobindo had assumed that after independence, Indian philosophy and spirituality in its pure and enlightened form would be taught with funding from the state, and its true ideals would transform the spirit of the nation and eradicate the evil of caste rigidity. However, in practice the Indian state has not supported the teaching of any aspects of Hinduism, in the name of secularism. This is a discriminatory aspect of the modern Indian state against Hinduism, because under Article 30, state funded Christian schools and Muslim Madrassas, which teach religion, have mushroomed throughout post-independence India; the government meets all or part of the cost of running these schools. Article 29 and more specifically Article 30 of the constitution have been interpreted to give state funding in setting up and running educational institutes to any non-Hindu religion! The irony is that Christianity and Christian institutions were privileged under British rule, and Islam with its Madrassas were of course privileged during Islamic rule, and therefore in the last thousand years Hindu institutions were impoverished financially and due to the physical poverty it led to moral poverty. Indian independence has perpetuated the problem by denying any state funding to Hinduism yet continuing to grant it to other religions. Hence Indian independence has been a truncated independence as far as Hinduism is concerned, with patronage being given to Islam and Christianity, and as these are both expansionist missionary religions, this essentially is giving money to spread these religions at the expense of Hinduism. The sad thing is that most Hindus are simply not aware of this constitutional discrimination that our religious traditions face. Many Indians see the fact that there are far more Christian-inspired schools than Hindu-inspired schools and think that it is just because Christians are charitable and educationally-orientated. The fact however is that Christian institutions are mostly state funded, whereas Hindus do not qualify for such funding. It should be noted too that in some parts of the country these “minority” institutions do not teach the most enlightened forms of their religion at all. If the Indian constitution were to be amended to allow the same state support to be given to Hinduism as it does to Christianity and Islam, with the emphasis that the religious syllabus in these Hindu schools must promote a non-caste or non-discriminatory form of Hindu teaching, such as the enlightened and pure teachings of most modern Hindu masters like Vivekananda, Aurobindo, Swami Rama Tirth, Chinmaya Mission, it would educate Hindus about the true spiritual core of Hinduism, which would destroy caste-discrimination faster than anything else. I don’t believe at all that sectarian or narrow Hinduism should be taught, rather a broad overview of the core philosophical teachings of each of the major schools of both Vedic and non-Vedic Hindu traditions, with an explanation of the sociological importance of the teachings, which would naturally mean the eradication of caste rigidity. The move to re-interpret or amend Article 30 of the constitution, to put Hinduism on an equal par financially with other religions, is a much bigger issue facing the future of Hindu society than symbolic issues like Ram-Janmabhoomi, territorial issues such as Kashmir and national-integration issues such the civil law code. If worse came to worse, we could afford to lose a temple or a part of a country (even if these mean a lot to us), and could afford for separate religious groups in India to have a different law code than us (even if it made for poor national integration). But we can’t afford to lose our whole next generations, which is what Article 30 may eventually cause through its far-reaching consequences. Awareness should be created about this, and there is no reason why it cannot become an agenda which crosses the political spectrum. Most Hindu groups and organisations of today teach pure and enlightened forms of Hinduism, with a strong emphasis on the innate divinity of every being. They have tried to raise the dignity and unity of our society on this foundation. Such groups include the Swadhyay Pariviar, Swami Narayan, Valmikis, Bharat Sevashram Sangha, Arsha Vidya Gurukulam, Chinmaya Mission, Ramakrishna Mission, followers of Narayan Guru and Sai Baba. Even ISKCON and the much maligned RSS have done commendable work. So the question remains, if so many Hindu groups are working against caste discrimination, then why the slow progress? Part of the answer lays in the fact that much of Hindu society is still mired in poverty, which is not conducive to social change. Hence as India’s economy continues to develop, this will naturally reduce some of the worse practices of our society. The impoverishment of Hinduism affected by the Indian state through Article 30 and the resulting lack of funds for well-meaning groups, as well as the mischief of divisive caste politics have a lot to answer for. But more so than this is the apathy of too many Hindus, who although do not practice any form of discrimination themselves, are not willing to get up and do something to alleviate the ignorance, poverty and lack of education which perpetuate the problems. This apathy accompanies a lack of intellectual churning and introspection which blinds us to the prevalence and nature of the problems around us. Hinduism as such has no caste divisions. As civilisation and population grew with social responsibilities, the society adapted itself to perform its responsibilities by sharing. Naturally each partner had to be named depending on their responsibility. There was no restriction on anybody sharing others responsibilities. Then, as of now, individual interest and greed crept and spoilt the system by bringing restrictions. Of course it may be seen in modern so-called civilised societies also e.g. a commoner cannot sit,drink or eat with a Lord in UK A black is looked down upon in the US. Blaming Hinduism alone is out of envy of the underdeveloped and narrow minded civilisation. So, instead of ridiculing others, let us appreciate each others goodness and live like humanbeings instead of slurring others. Hinduism is the only religion which has no author/introduser or time of introduction and has no end either. Let us learn and take the good things in it and adopt them to our needs and abilities. I end with the possibility of the universe destroying itself in war as quoted in Hindu mythology. Perhaps we are leading towards it by invading galaxies and inventing more and more destructive weapons. While there are some valid points in your article, with references to Sri Aurobindo, it is quite startling that the article states : ‘.. If worse came to worse, we could afford to lose a temple or a part of a country (even if these mean a lot to us), and could afford for separate religious groups in India to have a different law code than us (even if it made for poor national integration). But we can’t afford to lose our whole next generations, which is what Article 30 may eventually cause through its far-reaching consequences. Awareness should be created about this, and there is no reason why it cannot become an agenda which crosses the political spectrum’. You think it is okay to destroy the nation to address caste issue? Did the Partition do anything to alleviate Hindu- Muslim differences? What about the genocide of Kashmiri Pundits in Kashmir in your concern regarding caste? Sri Aurobindo would have been shocked by the statement about giving away Indian territory!! 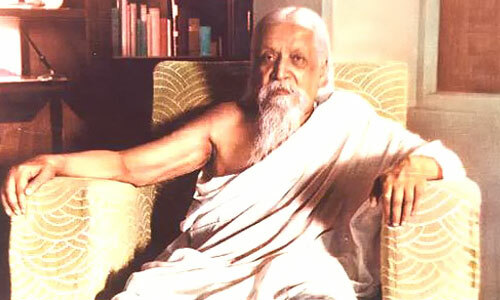 Also as you quote Sri Aurobindo, you will no doubt know that he explained the psychological significance of varna- about all 4 caste-qualities being important and the ideal man should try and embody all four qualities. Yes caste as a discriminatory thing needs to be tackled. But to simply castigate caste without also showing what SriAurobindo wrote about the need to cultivate kshatriya qualities etc requires a contextual study of the way in which varna is understood. Hopefully – since this was written in 2013 you might have seen a change in 2015.